I have many of these plants growing in shady spots of my garden, which encouraged me to create this article. 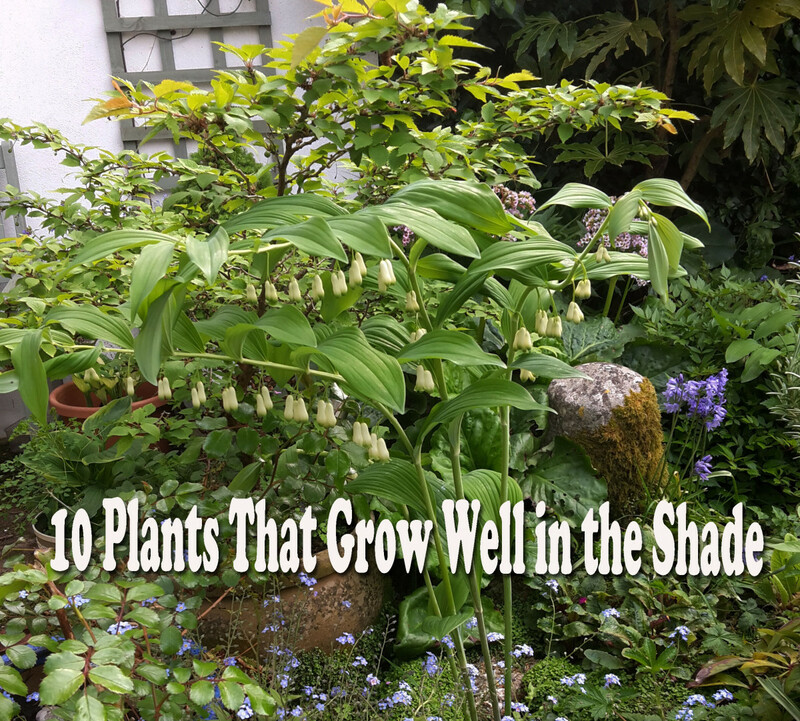 It's common for people to assume that all plants want full sun, but as you'll see from this list, there are many beautiful, flowering plants that love the shade or dappled sunlight. 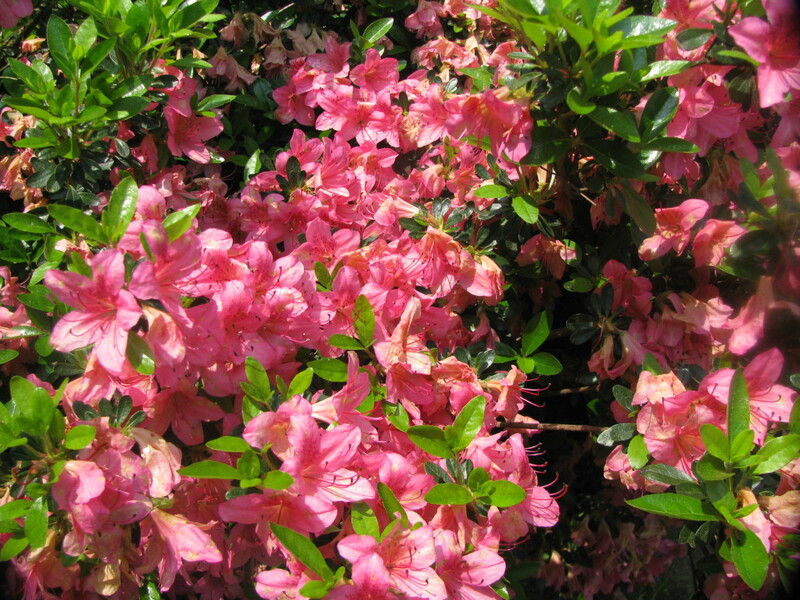 These plants and shrubs do not require abundant sunlight to thrive, and actually do much better with less light and heat. If I had a gothic garden, I would plant black lilies for a gloomy effect. As you can see, the black lily is not truly black, but a deep purple. 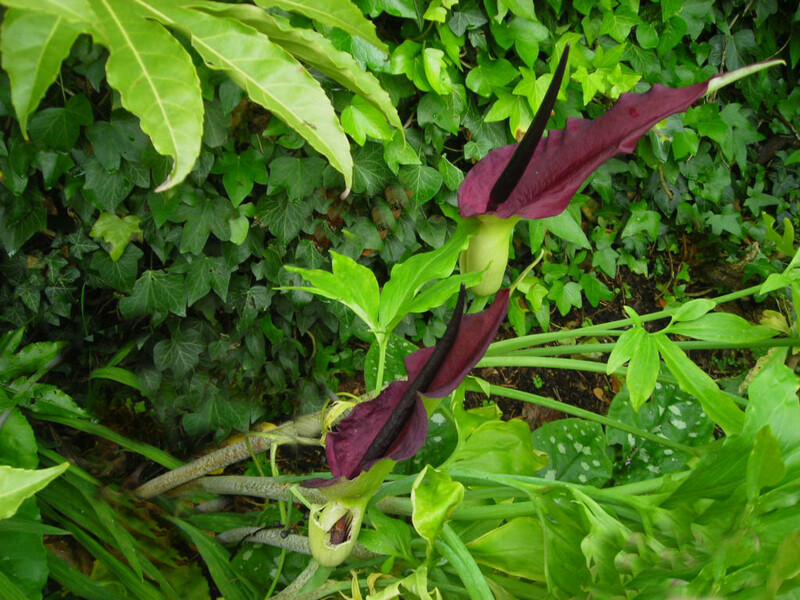 It has a surprising number of alternative names, including but not limited to Dragon Arum, Black Arum, Voodoo Lily, Snake Lily, Stink Lily, and Dragonwort. Why "stink" lily? Regrettably, this epithet is accurate. The plant does have a distinctly unpleasant smell. That's not the only disadvantage. The black lily only flowers for a few days. So why bother to give the black lily valuable space in your garden? Because it is spectacularly beautiful in full bloom. It looks almost eerie in, an oppressive sort of way, and the leaves have an architectural majesty which give shape and definition to a dark corner of the garden. And, as the flower dies, there is a short burst of reddish-yellow seedpods before the whole thing wilts, collapses, and looks awful. Work it out: Three or four months of pleasure and anticipation as the sculptured leaves develop and a burst of glory for a week, followed by a month of ignominy and then it's gone until the following year when it is likely to have multiplied. I think it's worth it. My mother-in-law gave me my first black lily fifty years ago and I am still growing them. My children grow them too, and no doubt so will my grandchildren, if I have a say. Did you know that English bluebells (as opposed to the more common Spanish Bluebells) are dying out and are a protected species? It's partly to do to reduction of forest land, as bluebells are woodland plants. Perhaps part of the decline is also due to global warming and environmental changes. Stems upright and not nodding. Flowers borne on more than one side of the flowing stem. The flower is more open and bell-shaped and does not have a long and more-or-less parallel sided tube. The anthers, at least when young, are blue or cyan and not white or cream. The scent is less strong and less sweet. So, in a way, we have a duty to encourage English bluebells where we can. I have always had bluebells in my garden but have only just identified them as the English variety, so I occupy the moral high ground here. It would be socially responsible to grow them if you have a shady border. 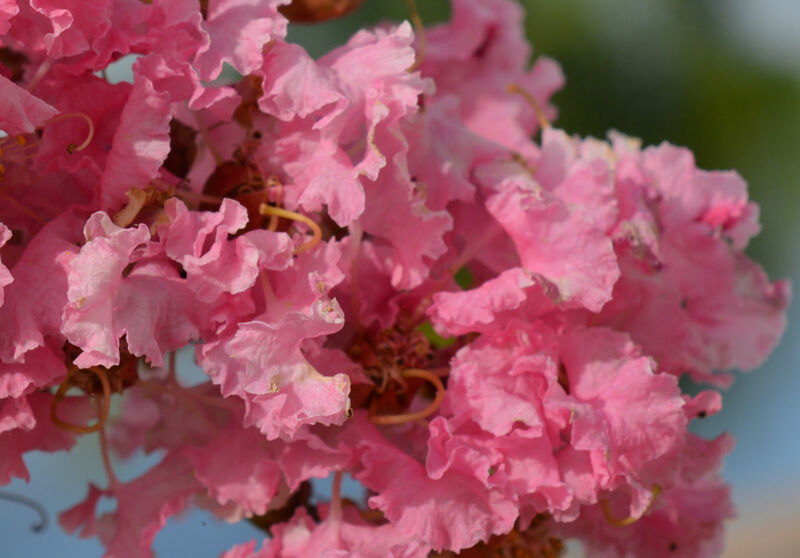 I recently even planted some around the tree which grows in our road, outside my house. 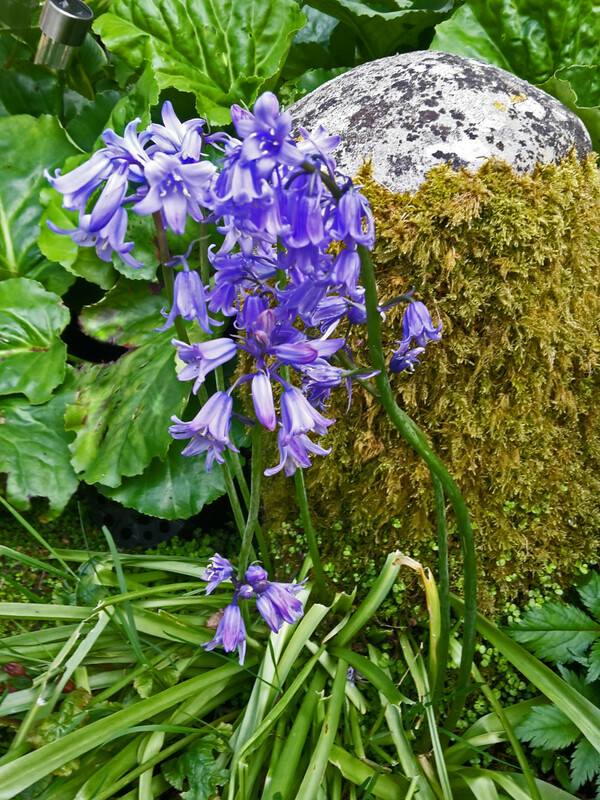 Bluebells grow to about 9" (22 cm) high and flower in late spring for a couple of months. They come in a range of blue tones, from white to pale and bright blue and have a strong, sweet smell. These plants die back in early summer, so you may want to plant them close to late-flowering plants which will grow up around them and conceal the dying leaves. I can't recommend this book highly enough. This is the Fifth Edition, but I refer to my older version all the time to get ideas for plant sizes, colors, and growing information. 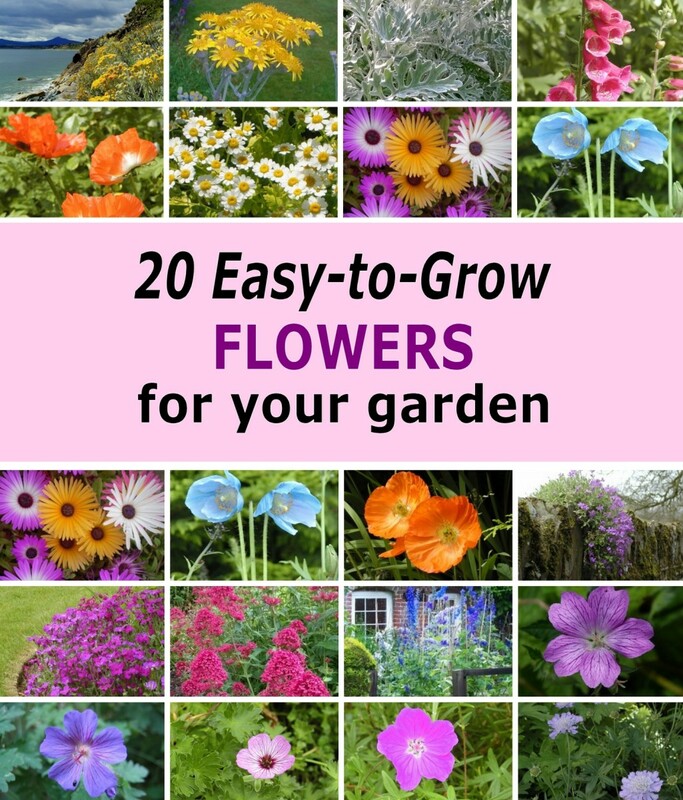 It is very comprehensive and a bit expensive, but well worth it, because it will save you putting plants in the wrong place. 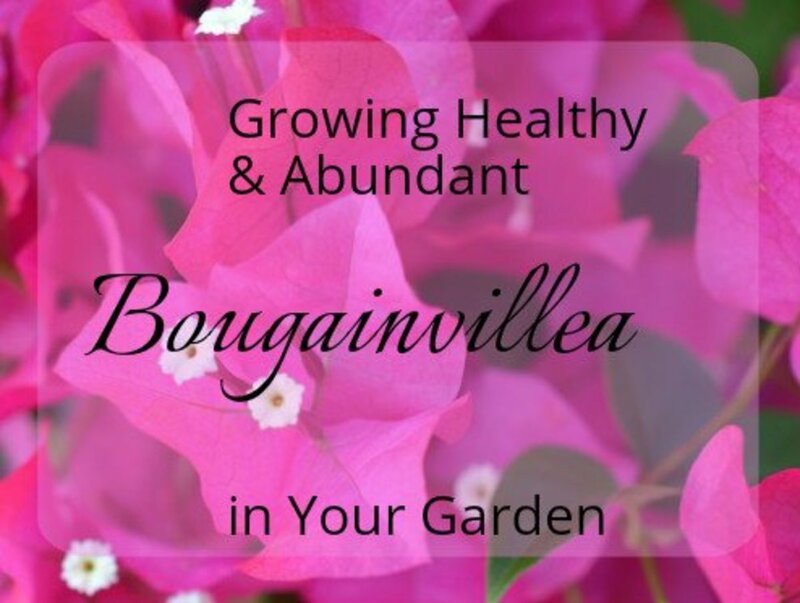 Your plants will be more likely to flourish well, which will save you money and provide untold pleasure. If you like lots of excellent photographs of plants, both common and rare, buy this gardener's bible. 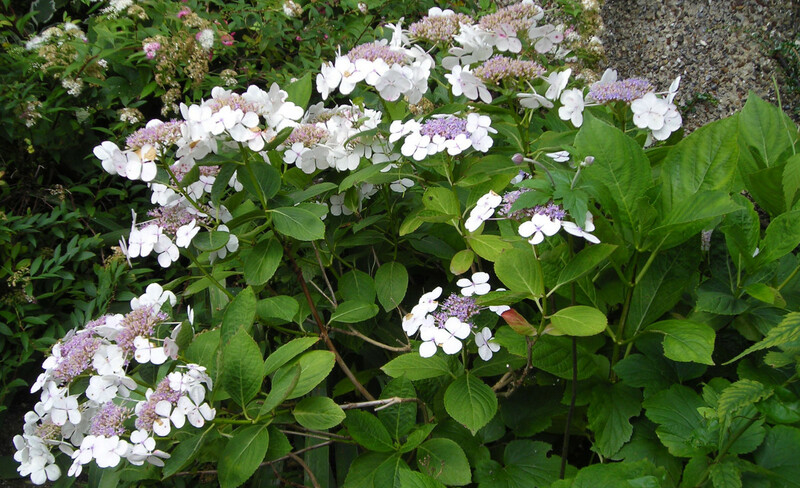 There are many different varieties of hydrangea, including small and large shrubs and strong climbers. They all do well in dappled shade. Hydrangeas bear large heads of multiple florets in white, pink, or blue. You can actually change their colouring by the addition of chemicals. They have quite a long flowering period throughout summer and well into autumn, so they are what I would call "good value" plants. 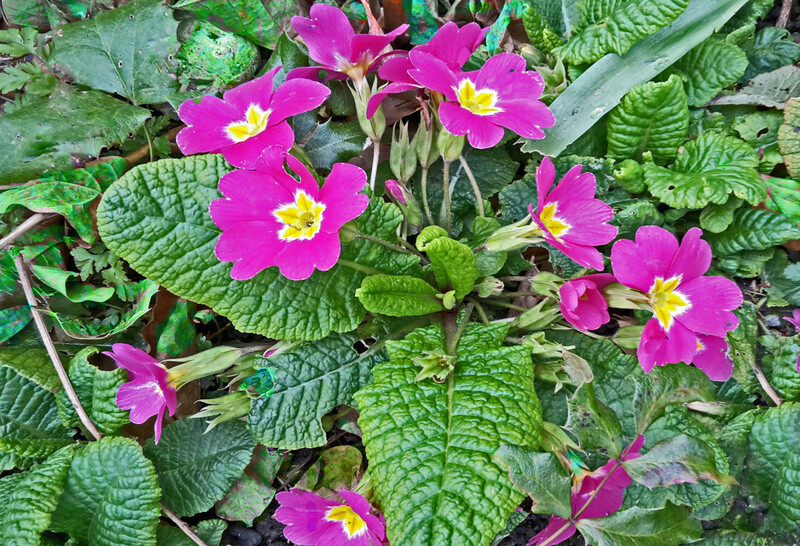 Primulas and primroses come in a wide range of bright colours. There are many types of primrose, from the tiny wild ones to the great, big, F1 Hybrid primroses, which sometime revert to smaller types in their later flowering years. I have some tiny, wild, purple primroses, which grow in my rockery but the ones shown above are F1 Hybrids. They come up in spring and flower for about two months. The are perennials and come up year after year, as long as you don't let them dry out. Cotoneaster attracts birds and bees. They like half- or dappled-shade. 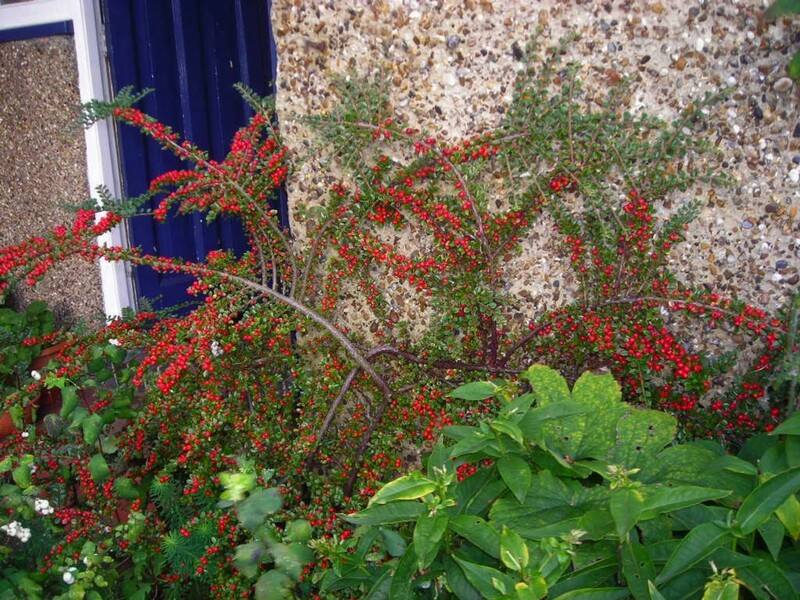 The plant bears red berries for much of the year and the tiny leaves are evergreen. Cotoneaster has an attractive branching habit. You can shape and train it to spread up and along a wall, so it looks good at the back of a border. 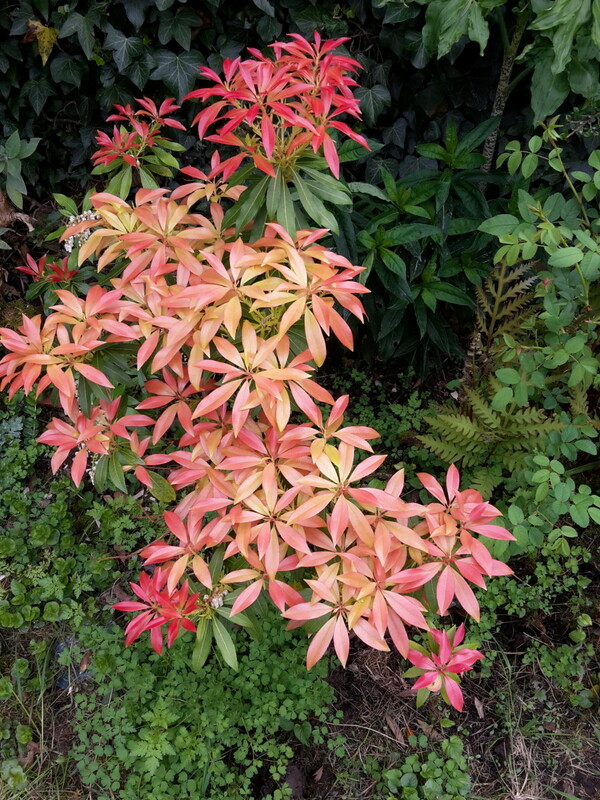 The leaves of Pieris change colour as they grow. They start off red in spring and then later turn green and shiny. They have tiny, rather insignificant flowers. They like dappled shade. My Pieris has never grown more than about two fee tall and three fee across, but I have seen other plants which are a lot larger than this. Virginia Creepers will climb up 50 feet with no problem. They are vigorous climbing vines that start off green and turn a brilliant shade of red in autumn. You can see that they sometimes climb right up the side of a house and swarm over the roof. It looks wonderful for a couple of months, but heaven help you if you don't like pruning things. This little rascal can strangle a tree, block gutters, and cause damp to your walls. So why do I mention it at all? Because it grows in the shade, and therefore has a place here. It is very beautiful plant and provided you have the energy and right equipment (tall ladder and shears), you can keep it under control. Just a bit of fun. What's your attitude about weeds? Do you whisk them all out on principle—they have no place in a domestic garden—or do you really rather like them? Do you Love or Detest Little Weeds? I hate them in my garden - off with their heads! 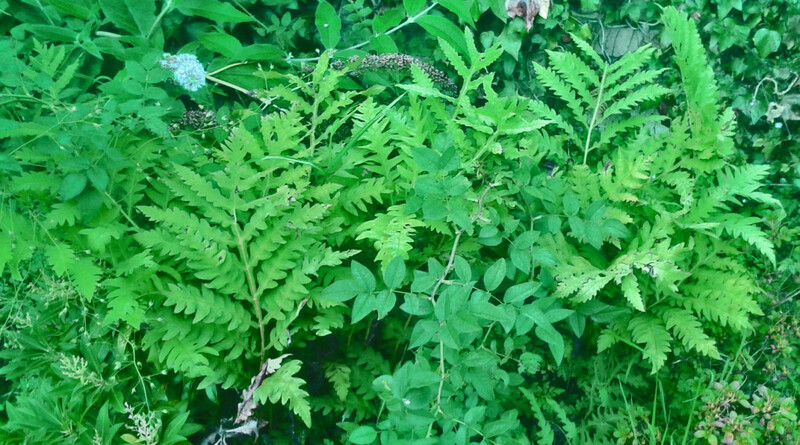 There are lots of different varieties of fern. I grow several different types in my garden. They look so cool and refreshing in the shade when the sun is blazing down and everything else is looking a bit bleached and dry. I grow Maidenhair Fern as well as this more unusual one, whose name escapes me. Any ideas from readers gratefully accepted! 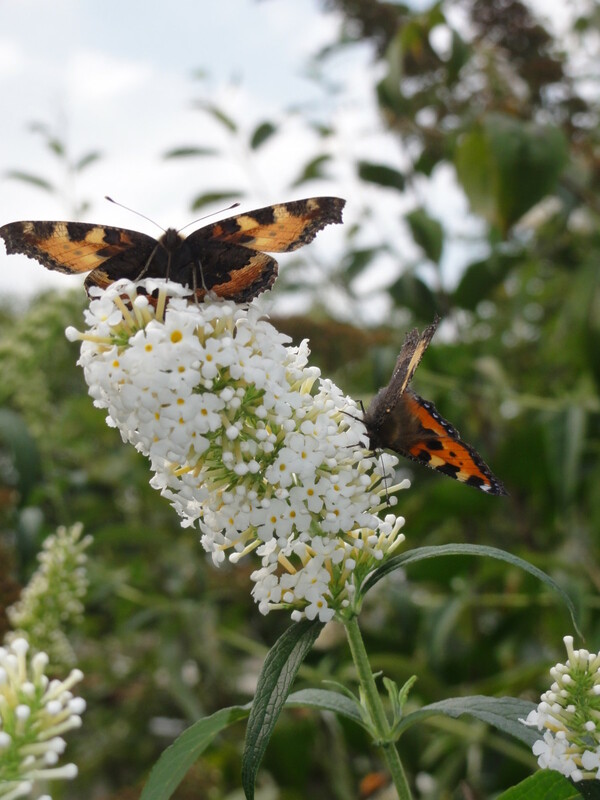 Also known as the Butterfly Plant because it attracts butterflies, Buddleias come in many shades of purple, from white through to dark heliotrope set against silvery green leaves. They are vigorous flowering shrubs that grow prolifically. In the building where I used to work, I saw them growing where they had seeded themselves in cracks in garage cement. They will grow happily in dappled shade and need to be cut back every year to flower on the new wood. Otherwise they grow very tall and woody. Best of all, they are fairly long-flowering—over most of the summer and into autumn. Pansies come in a range of magnificent colours. I love them. Their little faces always seem so welcoming. 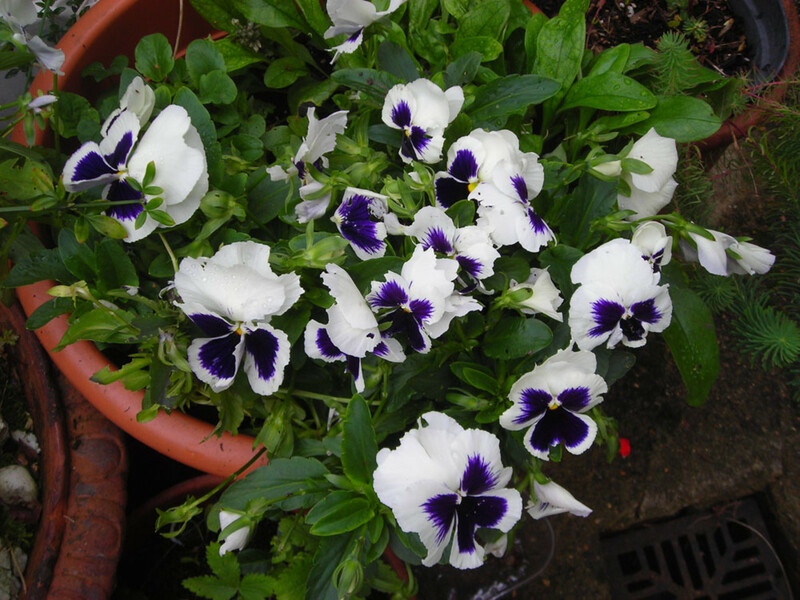 You can get winter-flowering pansies, so it is possible to have pansies in pots flowering nearly all year round. They do a lot better if you give them plant food every two weeks or so. Otherwise they might start to die off or simply not produce many flowers. Pansies come in dark velvety reds, yellows, purples, and whites with many different combinations. I like to color-match them to other flowers in my garden so that you see a show of purples, pale lavender, or white flowers. An area where there are orange and red flowers growing together looks spectacular too. Do violas like full or partial shade? The genus violas include pansies, in that all pansies are violas, but not all violas are pansies. They need light and therefore grow well in full sun or partial shade rather than full shade. They can withstand quite low temperatures, but tend to die back a bit in sweltering weather, although they may recover when it gets cooler, or if moved to a cooler place. They also like rich, well-drained moist soil. So, to answer your question specifically, they like partial shade, not full shade. Do pansies like full or partial shade? Pansies grow best moist, fertile soil, in full sun or half shade. They should be dead-headed to prolong flowering. Thanks for your comments & advice, we have some shaded areas that could do with some colour, sounds like I need to plant some pansies & Polyanthus. I'm particularly fond of pansies and violas in the shadier part of a garden. I didn't know that buddleia could thrive in shade. Love that black lily, which is a totally new plant for me. Thank you! 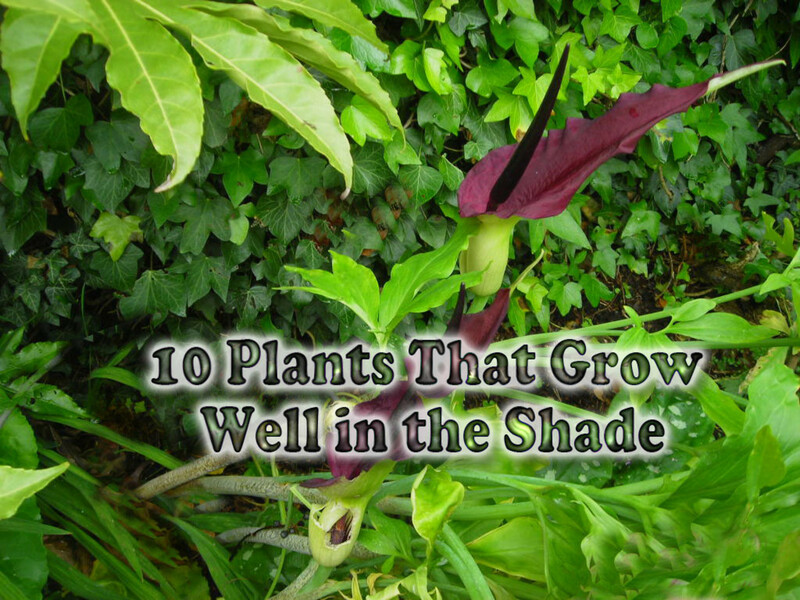 It's great to know there are so many shade loving plants. Many of us don't have a lot of space and sometimes this place is almost without the sun. Thanks for the list. @Frischy: Yes, I only have one border in full sunlight, and most of that is now given over to growing vegetables in raised beds. A bit sad really, because there are so many sun-loving plants I want to grow - not that there's much point in England - rain-loving plants would do better! I have several shady areas at my new house, including a space surrounded by walls on three sides on the north side of the house. It is so dreary now, but I hope to create a shady patio for summer. Thank you for the suggestions! Thanks for this. 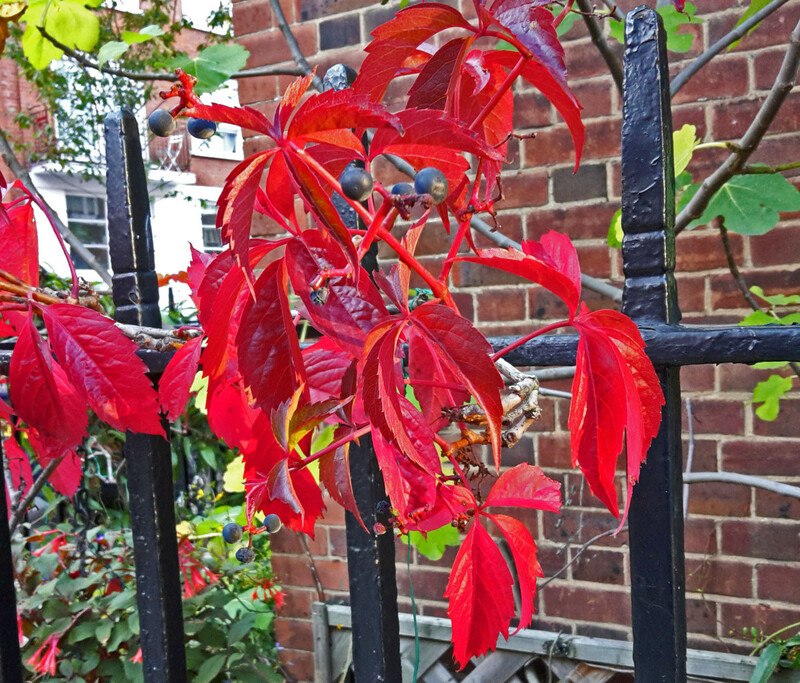 I do have most of the plants you mention, especially the grand fence crawler, the virginia creeper. you are making the world a better place to live madam Gloriousconfusion, I hope many will be able to read your lens to inspire them to go gardening, nice job here . congrats ! @chanis lm: Turn the house round! Thank you for this fantastic collection. I have an empty patch in my garden that is almost always in the shade. I think I'll try bluebells and forget me nots. I have them in my front garden anyway. Is there a way to move some to the back garden. Thanks! You have some great gardening lenses. What a great lens, very nicely done. I like some weeds, but others, especially things like Dandelions, I will spend all year trying to dig them up and eradicate them. Great job, blessed. This is a good resource. Blessed it! I have a blue hydrangea which was split a few years ago and it definitely does better in the shade than the sun. I had no idea that the creeper was so ferocious. I was considering it for an area but since I'm a lazy gardener I will definitely reconsider. Thanks. Great list, now I have to go find your original list. The front of my house is always shady, and I need some new flowers. I think I'll go w/ pansies and I really want a hydrangea! This is a great lens. Thank you for sharing. Thank you for this lists. Now I have new ideas for my shady area. Thank you! I have actually been thinking about planting some hydrangeas this year, and it helps to know they are shade tolerant. 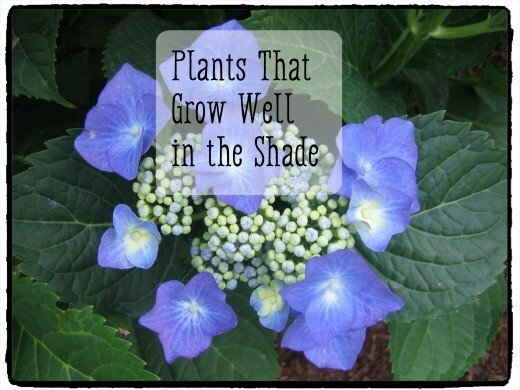 Very useful information, I'm on the hunt for more plants that grow in the shade as I write this! Was wondering what I was going to do in the shaded areas of the back yard this year. Thanks for the wonderful info. Thanks for another great lens. Love shade plants so this was enjoyable. Wonderful work. I learn so much from your lenses. I can't wait to have a yard so that I can put some of this new knowledge into practice. Wonderful selection. I'll be back this summer to get some plant ideas for under my big New Hampshire trees. Right now I use ajuga, hosta, and bleeding heart.